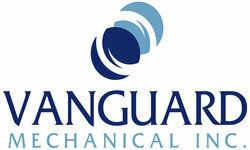 At Vanguard Mechanical our mission is to provide every customer with timely, professional service that exceeds our customer’s expectations the first time, every time. We communicate the importance of initial quality to all of our associates (employees, sub-contractors, suppliers, etc.) and recognize that poor quality is significantly more costly for us and our customers. It is our goal to become the most successful and respected mechanical contractor in the Greater Toronto Area. Our philosophy guides us daily to provide outstanding customer care, superb quality and a safe work environment which, in turn, will drive profitable growth.